يقع فندق Base Bay of Islands في منطقة تتمتع بمعالم كثيرة، وتعتبر المكان الأنسب لاكتشاف هذه المدينة رائعة الجمال و ما يحيطها. يمكن من هنا للضيوف الاستمتاع بسهولة الوصول إلى كل ما تقدمه هذه المدينة النابضة بالحياة. كما يمكن الوصول بسهولة إلى عدة معالم سياحية قريبة. يعرف Base Backpackers بالمستوى الراقي لخدماته ولباقة موظفيه، وهذا ما ستجده في Base Bay of Islands. يمكن الاستمتاع بمجموعة من الخدمات على أعلى المستويات في الفندق كمثل صف السيارات, غرفة عائلية, مطعم, جولات, مقهى. تتضمن كل غرف النزلاء وسائل الراحة والتسلية المصممة خصيصاً لضمان الراحة القصوى للضيوف. يقدم الفندق مجموعة رائعة من الخدمات كمثل حوض استحمام ساخن, حمام سباحة خارجي, سبا, حديقة، لجعل إقامتك تجربة لا تنسى. إن كنت تتطلع إلى إقامة مريحة وهادئة في المدينة، فستجد في Base Bay of Islands بيتك الثاني. BASE has a reputation for being a “party hostel” and they tried to meet that expectation every night at their on-site bar. Trying to find quiet is not possible, but the double private room has a fan and tv that can be used to muffle the bar noise. We liked our double room as it had an ensuite bath, and kitchenette with sink, fridge, microwave, kettle and toaster at a very reasonable price for two people. The little swimming pool was clean and refreshing, which we preferred over the ocean. As with all hostels, the kitchen cooking facilities and supplies were limited. Guests could not use the bbq, but the hostel offered a 2-meat plus potatoes and salad bbq for $10. This included one beer or wine, so a good value, especially when purchasing and cooking meat in a hostel is always difficult and expensive. 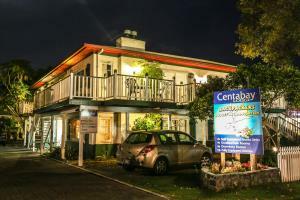 I would recommend this BASE hostel when travelling with a tight budget in Paihia. Hi Betty, Thanks for taking the time to leave us a review. You are right in "BASE has a reputation for being a party hostel". But we also realize that not all guests that stay with us have the same party animal tendencies. That's why we take measures to make sure our bar patrons are moved off the bar balcony into the bar dance floor inside at 22:00 to reduce the noise. Some guests have trips and activities planned the next morning and we try our best to cater to both groups of travelers. We are glad you found our private en suite room sufficient and also enjoyed having a dip in our wee little pool we have on site. The BBQ has been feeding travelers for 15+ years and we are glad you got to join in on our old tradition. We hope the rest of your travels around New Zealand are cheerful and fill of kiwi BBQ's! Cheers, The Base Bay of Islands crew. Rooms were ok, little cramped but with ensuite bathrooms. Facilities were good and the bar is cheap and busy in the evenings. Hi Mark, Thanks for the time to leave us a review. 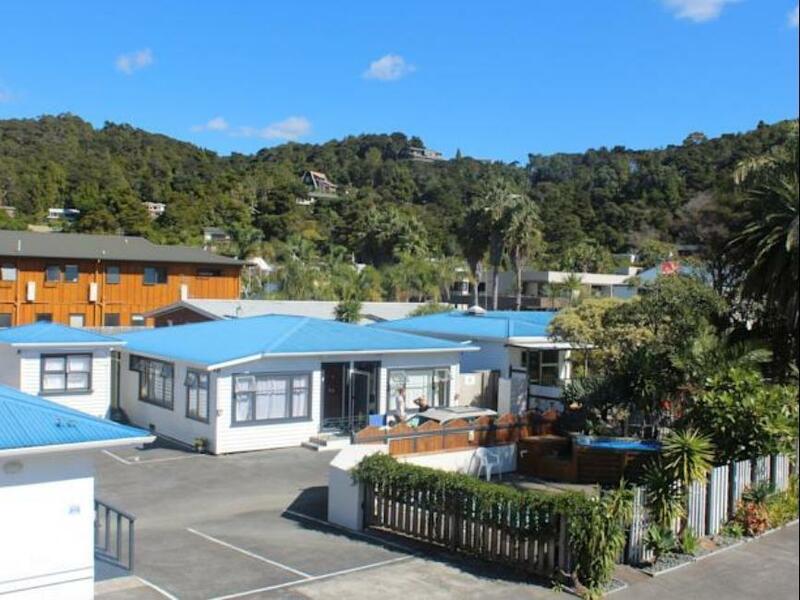 We here at Base Bay of Islands are glad you enjoyed your stay. Good to see that you came out and had fun at our world famous bar The Pipi Patch. We think we have the best value for money when it comes in drink prices in Paihia. Hopefully you make it back to the beautiful Bay of Islands at the end of your journey. Cheers The Base Bay of Islands Crew. Bed was comfy enough, rooms get nice and dark but I hate having an ensuite attached to an 8 bed dorm. Everyone can hear everything and everyone wakes up when someone goes to the toilet in the middle of the night AND don't get me started about the guy that spent an hour and a half in there having 2 showers! The idea of having a bar is nice but takes away some of the social aspect of the hostel. We found we actually went to another hostel up the road to drink and socialise and there was a much better atmosphere there. Location was brilliant, and if you're going to have signs saying 'no noise after 11'- maybe enforce it? The other hostel made people go to the beach so people could sleep while I lay there until half midnight wishing the large group of people outside my room would go away. General it was ok. This is a backpacker so i didn't expect a lot. Staff are helpful, nice bars around, nice location. 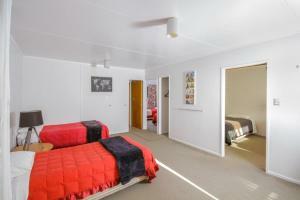 Its a good location with comfortable bed, staff are friendly. But no free WIFI available. Un séjour super, beaucoup d'échanges et d'aides entre les backpackers! Egalement un lieu idéal pour faire un peu la fête! Bra läge, trevligt ställe, bra dorms med toa och kyl i rummet. Mysigt litet hostel med bra dorm rum! Personalen var inte jätte trevlig men annars var allting jättebra. De hade en spa pool, men den var inte uppvärmd. 버스이용시 정류장에서 좀 걸어가면 있는데요, 간판이 조금 달라 바로 앞에 두고도 헤맸습니다;; 8월에 가서 뉴질랜드의 겨울이긴 했지만 한국같은 난방시스템이 아니다 보니 너무너무 추웠어요. 제가 추위를 많이 타서 그렇기도 하겠지만요. 저처럼 추위 많이 타시는 분은 히터가 있는 쪽에서 주무세요. 없으면 정말 춥습니다. 싱크대랑 커피포트가 있어서 간단한 건 해결 가능하구요, 밤에는 숙소 내에 바가 있어 가볍게 한잔 할 수 있겠네요. 숙소에서 조금 걸어나오면 호수(? )가 있는데요 해 뜰 때 너무 예뻐요. 힐링힐링~ 주변이 대부분 숙소이다보니 비수기에 가서 조용한 게 저는 너무 마음에 들었네요.